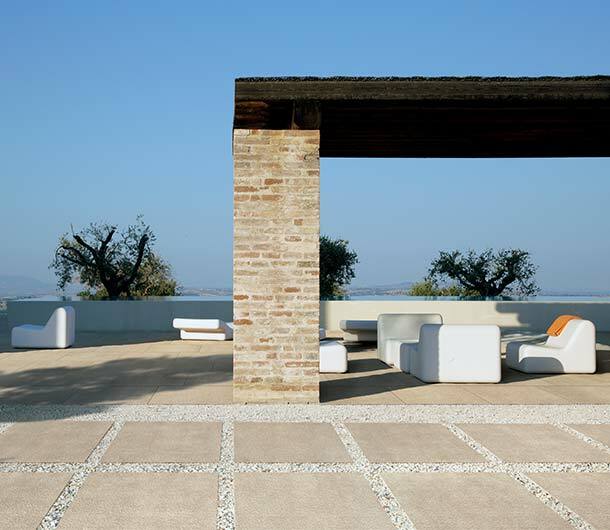 The porcelain stoneware doubles in thickness (20 mm) to adapt to any type of outdoor use: gardens, public parks, pool exteriors, patios, terraces and driveways. 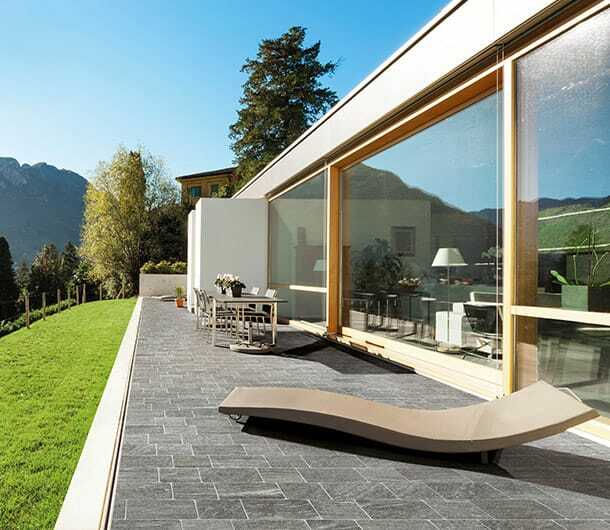 The technical characteristics of the porcelain stoneware double – along with the thickness – to meet the needs of any type of outdoor application. The light colors, carefully selected, have a high solar reflectance index. In other words, the material does not absorb much heat and does not become hot to the touch. 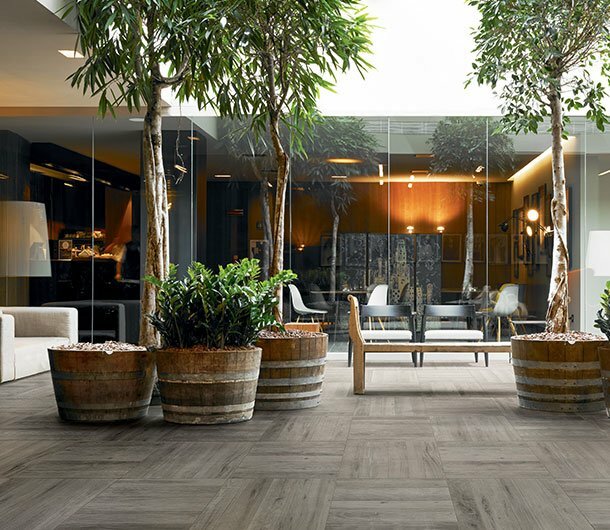 Unlike other materials such as wood, natural stone and cement, porcelain tile is not porous and therefore it does not absorb liquids. 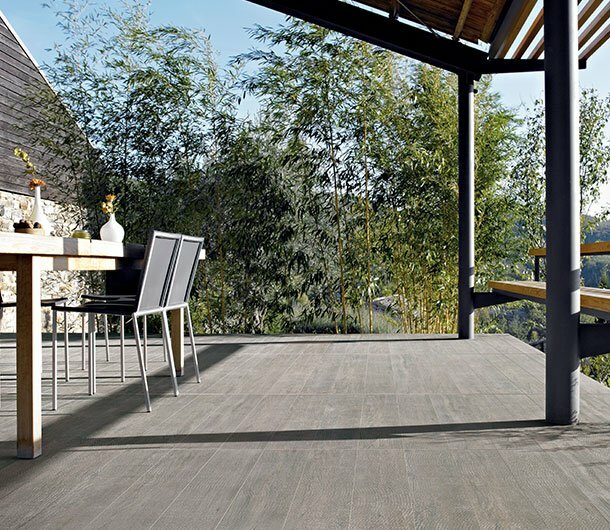 This means that it does not stain or crack and it does not require surface treatments or special maintenance. 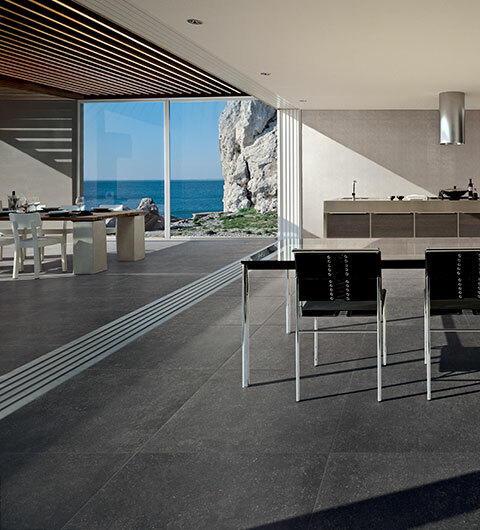 The product – obtained from a fusion of sands, clays and feldspar – is pressed at 400 kg/cm2 and fired at 1200 degrees Celsius to become a material with incomparable mechanical characteristics. The material can be easily removed to be repositioned elsewhere (if not glued). 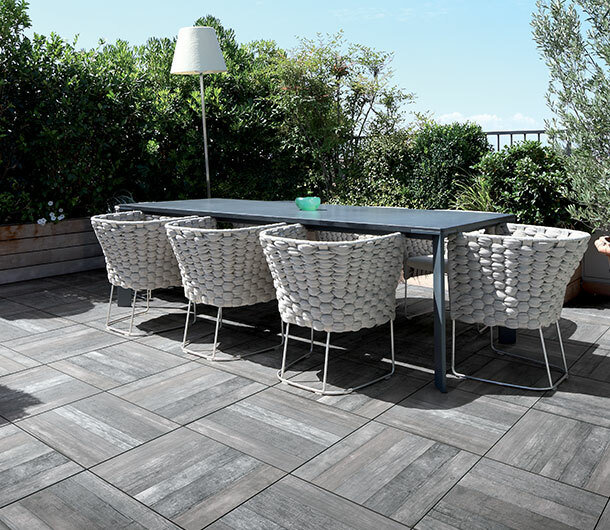 A vast selection of tiles for outdoors meets Florim design. 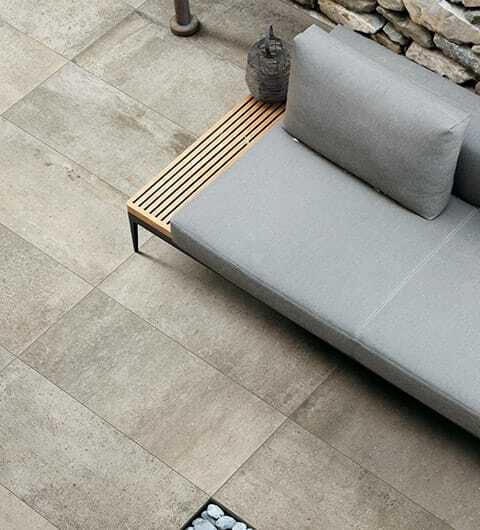 Attention to detail and stylistic research enter the outdoor flooring world so you can experience outdoor spaces conveniently and easily. 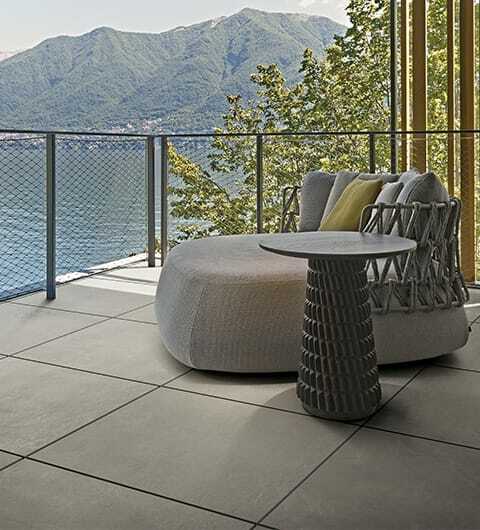 The range of sizes and colors that our laboratory has selected satisfy the most popular material inspirations for outdoor coverings: essences of wood, cement and various types of stone. 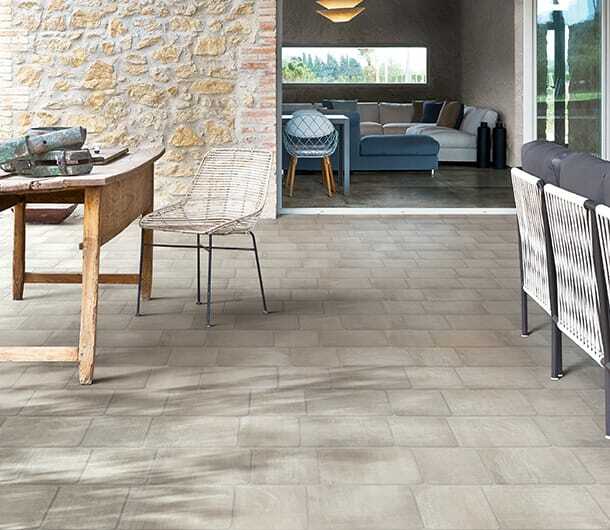 The result is absolutely natural, but industrial production guarantees the aesthetic continuity of the effects and the color, without surprises. 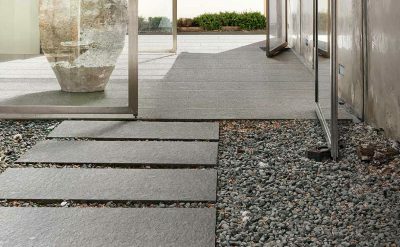 The Florim catalog includes a wide range of traditional thickness products (10 mm) that have a non-slip finish available for outdoor installation in covered and uncovered spaces. 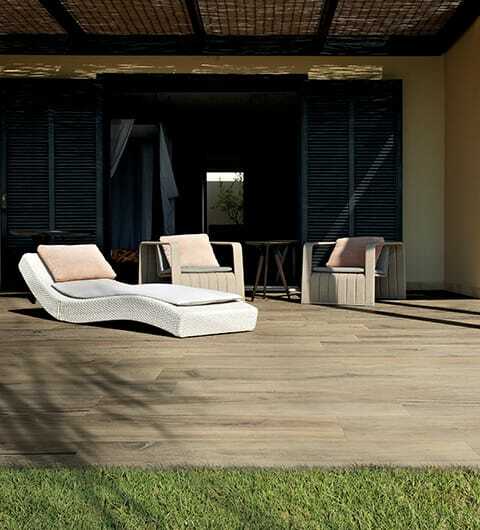 A vast selection of “made in Florim” design is available at the service of creativity, for aesthetic continuity or original matches between indoor and outdoor spaces. 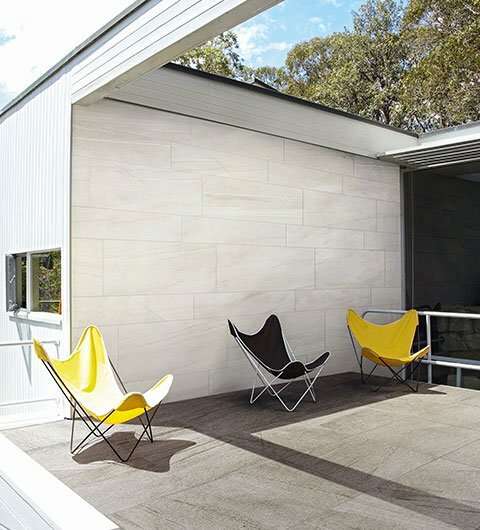 You can complete the pool area with a single surface! 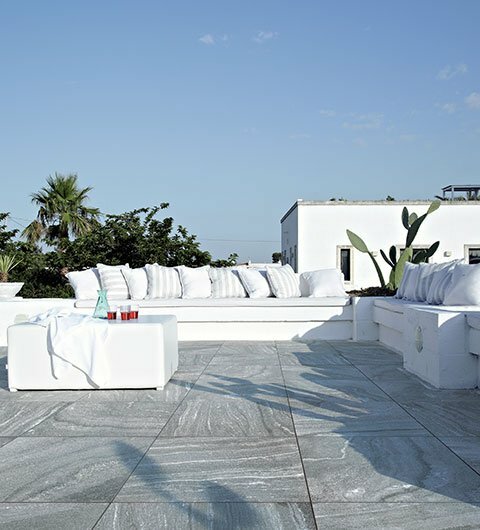 Choose the 20 mm thick tile for the edge and the external walkway and the 1 cm thick material for inside the pool. 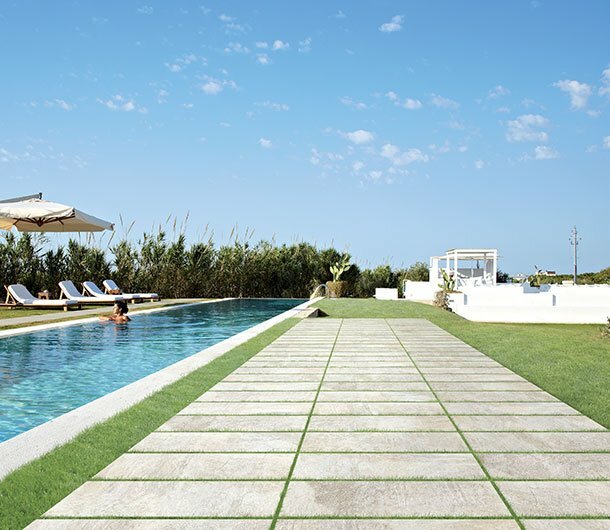 Check out the Florim Solutions section for more details and tips on pools. 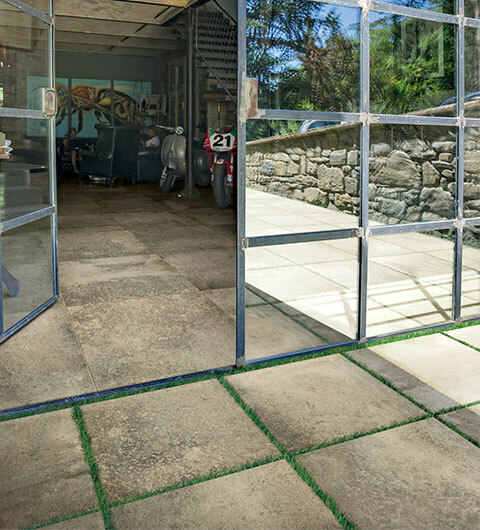 With its 20 mm material thickness, it is ideal for installation on gravel and sand. 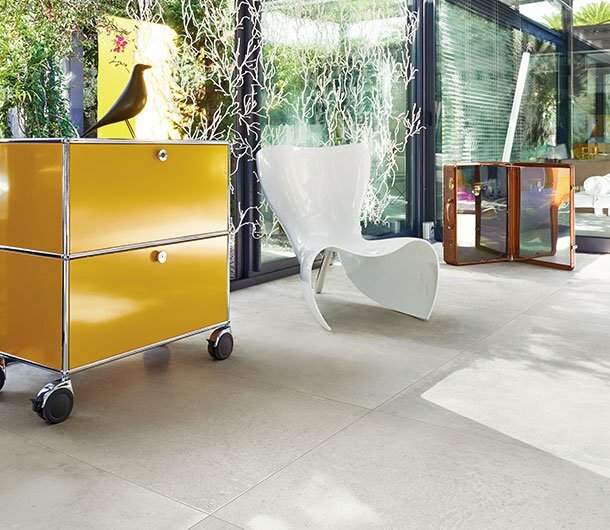 The system is extremely easy to install and can be freely repositioned, thereby allowing maximum creativity in the configuration and flexibility in any subsequent changes. 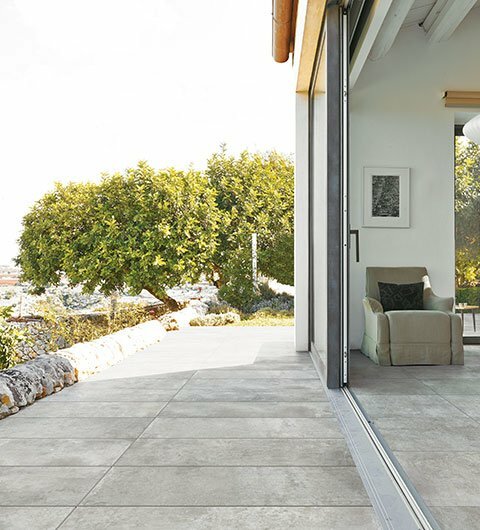 In any area subject to high static or dynamic loads, Florim Outdoor, installed using the classic method (adhesive), is the technical response that can withstand the test of time. 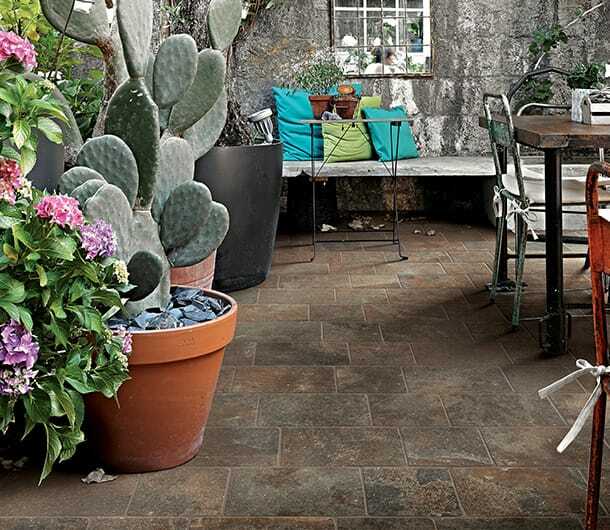 It is the ideal flooring to withstand any stress, even in high traffic and urban areas.